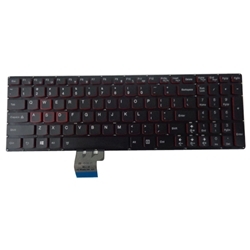 Description: New Lenovo laptop US version replacement keyboard. This keyboard is black in color with red-edged keys and it is backlit. This may be the part you need to replace your broken keyboard.